The 8th National Conference of Women in Police (NCWP) will begin in Ranchi, Jharkhand today. The two-day conference which is being organized by Bureau of Police Research & Development in collaboration with Jharkhand Police, is the only national level platform to address the issues of Women in uniform and create an enabling atmosphere for them to maximize and optimize their professional potential. Unheard voices of Women in CAPF/Force – Gender neutral working places. Empowered work space for conducive work environment. Role of Women Police in Smart Cities. Women in Community Oriented policing. Special Training Needs for Women personnel. Sexual harassment at work places - Varied perspective and management. Eminent speakers like Justice Gyansudha Mishra, Former Judge, Supreme Court, Dr G K Goswami, IPS, Jt Director CBI , Mrs Shubhrata Prakash, Addl CIT, New Delhi and Mrs Rekha Sharma, Chairperson, National Women Commission would be deliberating / participating during the conference. In addition to them, many other experts would be deliberating during the conference. It was a long felt need to have an Empowered Body which shall deal with capacity building of women police personnel and provide adequate exposure in the core police functions for achieving absolute professionalism. NCWP has unfolded as a total solution for accomplishing this goal. The debut to augment this effort was made in 2002 by organizing the 1st edition of NCWP in New Delhi by BPR&D in collaboration with Delhi Police. 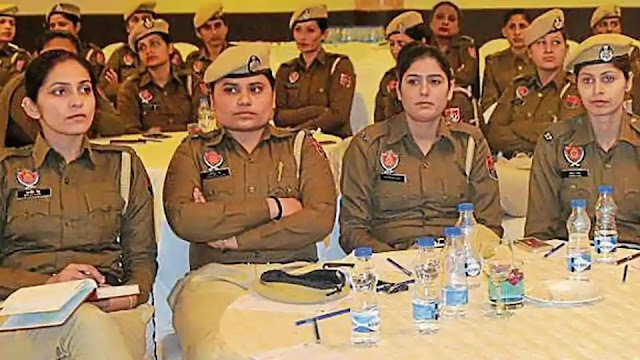 Women Police personnel cutting across different ranks, from across states / UTs and CPOs enthusiastically participated in the conference to have their voices heard, which have been usually and traditionally dominated by the male members. NCWP has been continuously working on strengthening and monitoring of mechanism to deal with sexual harassment in all the Police Organizations / CPOs by suggesting active ways and means. Sincere efforts have been made for issues related with gender sensitization for all police ranks, exclusive infrastructural development for women police like rest rooms, toilets, crèche etc., equal opportunities for women in career planning and other welfare measures like maternity and child care leave, police housing for women workforce etc.